Music is increasingly becoming an integral part of my family. I like creating the mood of our day through carefully chosen music. It acts like a backdrop to our activities. Sometimes it is Debussy, music from musicals, Ella Fitzgerald, Romanian techno, Astrud Gilberto, or something new I'll introduce to them. Then when night comes, I am ready for the quiet, but only for a moment. Soon I crave the silky voices of old singers and standards, whether jazz or otherwise, for the evening with Bobby. Instead of flopping down on the couch last night after children were quiet upstairs, I marched right down to my machine and stash of fabric. 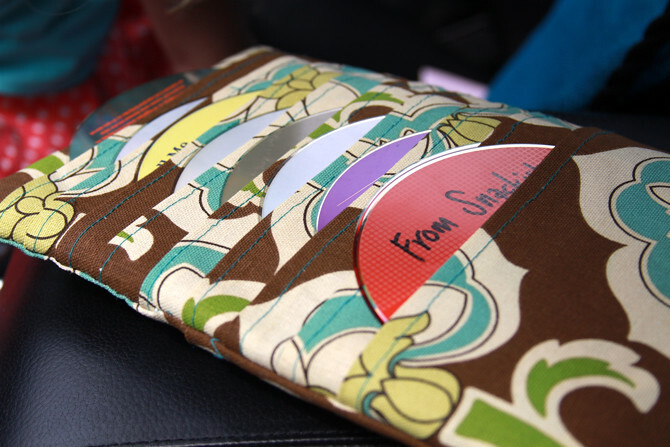 I was determined to sew a CD case for the car. Since I work best with deadlines staring me in the face, this was my chance to make it before a long car trip. I wouldn't have a reason or deadline like this for a while. 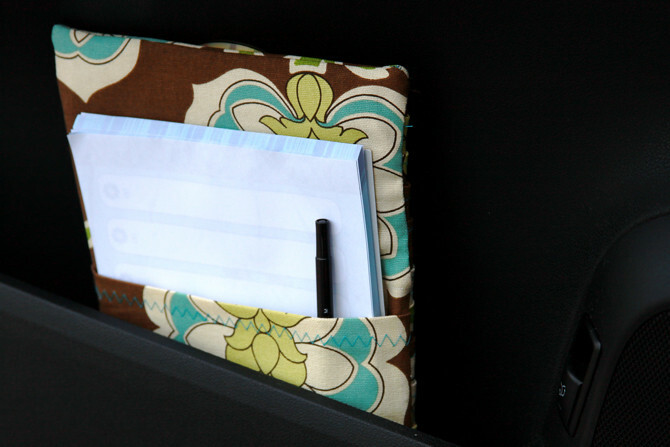 I followed my pattern for my CD case for our little music station upstairs but added more CD pockets and a large pocket on the back for a pad of paper and pen. It fits perfectly in my car door. The girls know that they will actually be able to watch a "toonie" during the car ride, so I can leave behind the plastic movie case and slide the movie (they've already decided upon The Sound of Music) into the case. Done and done. 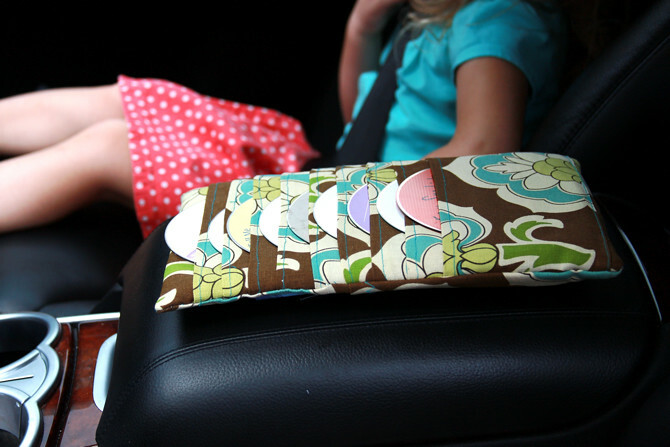 What are your tricks for keeping order and children happy on your long car rides? I'd love your input!